French President Emmanuel Macron and Chinese President Xi Jinping met on Saturday on the side-lines of the G20 summit and discussed expanding their bilateral ties as well as renewed their pledges to safeguard multilateralism. Xi pointed out that the relations between China and France have maintained a high-level stable development and that this is inspiring, adding that the 55th anniversary of the establishment of diplomatic ties between the two countries is set to take place in 2019 and China is willing to cooperate with France to further improve their comprehensive strategic partnership. Xi went on to say that the two countries are to make good use of dialogue mechanisms at various levels and expand on two-way trade and investment, as well as firmly safeguarding multilateralism and strengthening communication and coordination on major global issues. Xi said that definite actions are to be taken to maintain the multilateral world order with the United Nations (UN) Charter and principles at the centre, according to The Ministry of Foreign Affairs of the People’s Republic of China. Macron said that he is glad to see an advance in bilateral relations and successful results in sectors such as energy and space technology. 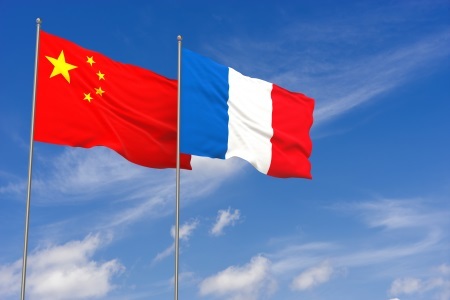 The French President added that France appreciates China’s attempts directed towards improving the business environment for foreign companies working in China. Additionally, Macron emphasised on France’s eagerness to cooperate further with China in areas such as nuclear energy, aviation and tourism and welcomes more Chinese investment as well as hopes its exports to China would grow. France is committed to multilateralism and hopes to continue cooperating with China on major global issues and further improve on the multilateral free trade system.